Lt. Cobretti (SYLVESTER STALLONE) is a one-man assault team whose laser-mount submachine gun and pearl-handled Colt .45 spit pure crime-stopping venom. Cobretti is part of the police department’s “Zombie Squad”, called upon for situations that require less finesse and more violence. There is a serial killer on the loose and as the bodies continue to pile up, Cobretti is allowed on the case and they get a break when model Ingrid (BRIGITTE NIELSEN) gets a good view of one of the “Night Slasher” (BRIAN THOMPSON) himself. Unfortunately for her, not only is the Slasher not alone, but his accomplices, one an police officer, get her plates and soon enough begin targeting her. Of course, if they had done nothing, they’d be in the clear… In any case, she is placed under police protection, though she’s hardly out of trouble and Cobretti, with partner Detective Gonzalez (RENI SANTONI), take her on the road in order to outrun what increasingly looks like some sort of cult that wants her dead… for some odd reason. Cobra from a story standpoint makes absolutely no sense at all. The set-up seemed simple enough with a serial killer, a take on the Night Stalker who was active around the time of this film’s release, and would’ve been an interesting action-crime vehicle but what we get instead is the Night Slasher being part of some strange cult whose basic motto is survival of the fittest because the times were violent… or something. 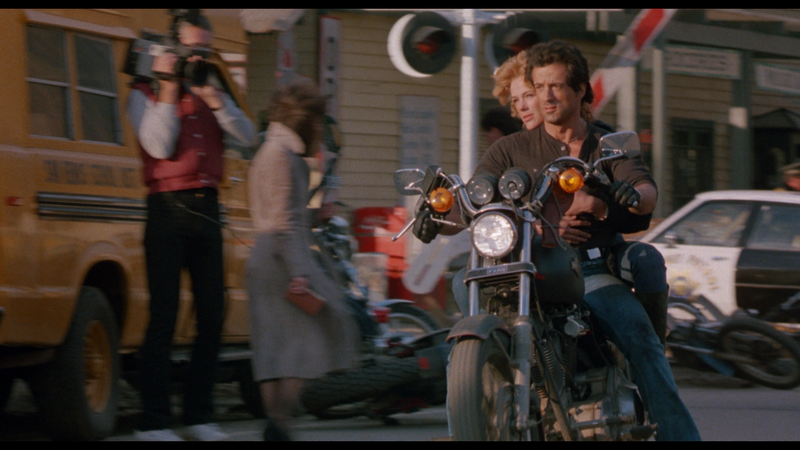 Such sloppy writing intermixed with poor character development, and a main character in Cobra who was utterly reckless, following the cult’s attempted attack on Ingrid, Cobra begins to chase them down… with his star witness in the passenger and damn near killing her in the process. And yet, this carelessness was never really brought up. And even beyond the poorly written plot, from Sylvester Stallone who was the sole-credited screenwriter, and terrible character development, the performances weren’t much better, most notably Stallone who looked rather bored more than engaged. Brigitte Nielsen I suppose was fine in the damsel-in-distress role (and that’s all she really was) while Brian Thompson as the Night Slasher was, at times, scary I guess. All of that said, the direction had its moments. Cobra re-teams Stallone with Rambo: First Blood Part 2 director George P. Cosmatos, which was released a year before this film. There were at least some interesting shots and I will say, some of the stunt work and action sequences weren’t too bad, keeping this from being a complete dud. This release comes with a matted slip cover, however no reversible cover artwork this time. 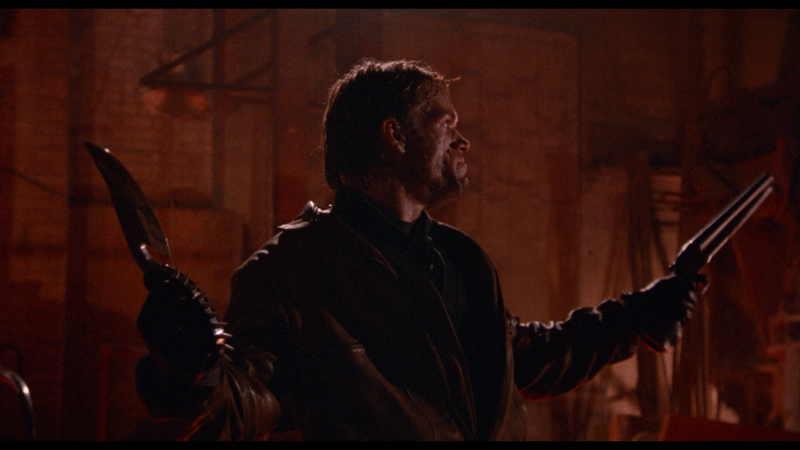 Audio Commentary – Director George P. Cosmatos. This is, obviously since he died back in 2005, an older track as the filmmaker chats it up providing some basic information about the production though this is rather dry at times and probably could’ve used a moderator to keep things flowing. Brian Thompson’s interview alone is worth the price of admission as he told vivid tales from the set and was quite honest about his experience, including not having a whole lot of positive things to say about Cosmatos. These other interviews, though, were also rather engaging, with Robinson revealing a twist with his character that was changed at the end, in their own respects as well giving their career histories and personal work on the project. 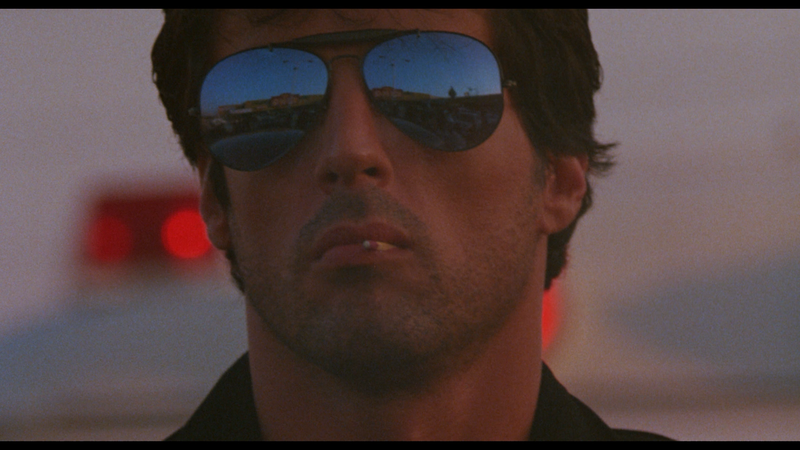 Vintage Featurette (7:50) is from back in 1985/86 with behind-the-scenes footage and on-set interviews with Stallone, Nielsen and Cosmatos. The disc also includes the Teaser Trailer (1:20; HD), Theatrical Trailer (1:55; HD) and two Still Galleries. 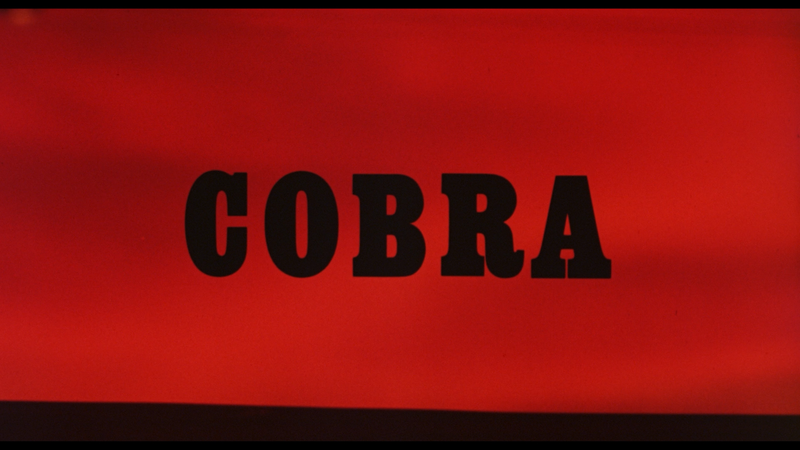 Cobra was released in its original 1.85 widescreen aspect ratio and given a new 1080p high-definition transfer taken from a scan of the original film elements at 2K resolution. For the most part, the picture looks rather good and certainly a mark-able improvement over the 2013 Blu-ray release (the fps were also improved) where detail looks far sharper in comparison, the natural film grain remained intact and colors, including skin tones, have better balance to them. There were a few minor specs but nothing I’d consider distracting and there were no apparent instances of artifacting or aliasing. The movie comes with what I presume is the original DTS-HD Master Audio 5.1 track and it does sound pretty good, although it seemed the bulk was utilized through the center and front channels with the rear speakers mostly were for the score with some minor depth for the action sequences. 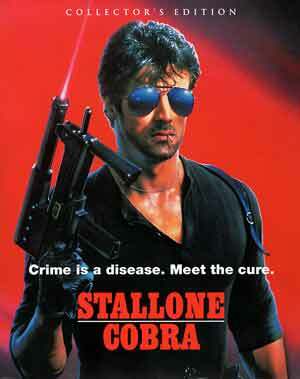 Overall, Cobra isn’t a very good movie… at all and rather a second (or third) rate Stallone action-thriller with minimal to no character development and an utterly ridiculous plot, or more to the point villain(s) and motives. Still, some of the action scenes were at least decent. This “Collector’s Edition” Blu-ray release has good video/audio transfers and a nice set of new interviews.